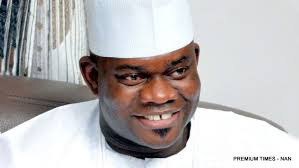 Governor Yahaya Bello of Kogi state has made five new political appointments as part of his effort to position his government to ensure equitable distribution of dividends of democracy in the state. A statement released yesterday, March 14th, 2016, in Lokoja by the Secretary to Kogi State Government, Dr. Ayoade Folashade, said the governor has appointed Barrister Justina Abanida from Yagba West Local Government Area as Chairman, Kogi State Universal Basic Education, SUBEB. Other appointments announced were Alhaji Yakubu Oseni, from Okene Local Government Area as Chairman, Kogi State Board of Internal Revenue; Mr. Emmanuel Odiniya, who hails from Olamaboro Local Government Area as Chairman, Bureau of Local Government Pension. The statement also announced Arch. Robert M. Achanya as Director-General, Bureau of Public Private Partnership while Barrister Moses Okezie is to serve as Senior Special Assistant on Speech Writing to the Governor.